How to provide quality care and safe surgery? 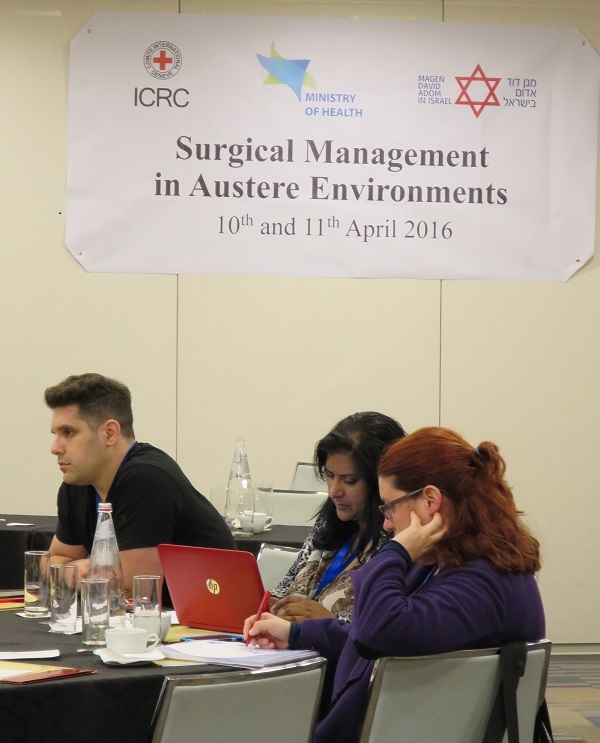 What are the minimum requirements to hold a safe surgical intervention in a disrupted environment? 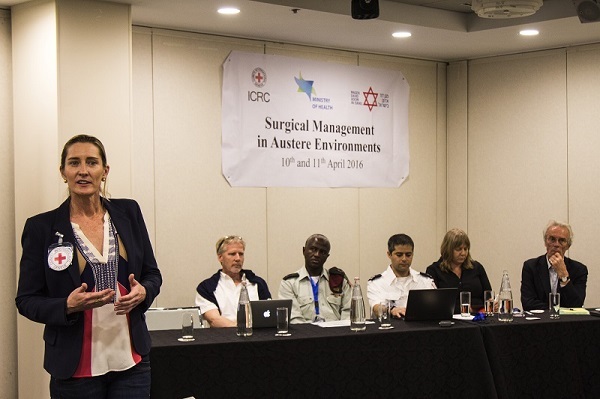 These are some of the questions addressed this week during a joint seminar on ‘surgical management in austere environments’ organized by The International Committee of the Red Cross (ICRC), together with the Ministry of Health and Magen David Adom (MDA). 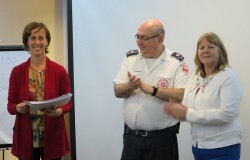 Left to right : Kirrily Clarke, ICRC Health Coordinator; Dr. Harald Veen, ICRC Chief Surgeon ; Lt. Col. Avraham Yitzhak, IDF Head of Trauma and Combat Branch; Tomer Kaplan, MDA disaster management officer; Noa Hasdai, Head of Emergency Hospitalization and Training, Ministry of Health; Dr. John Wolfe, Vascular surgeon, ICRC. 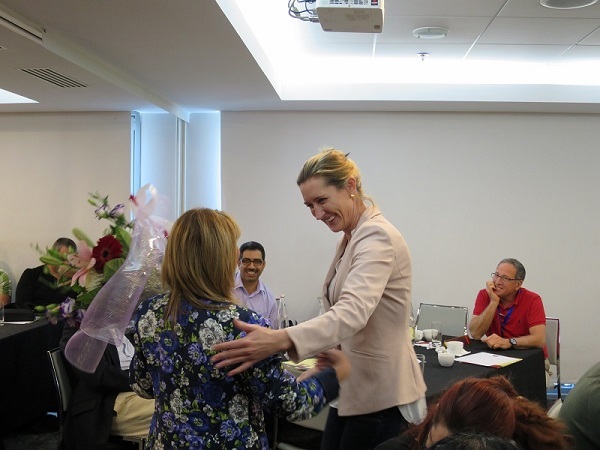 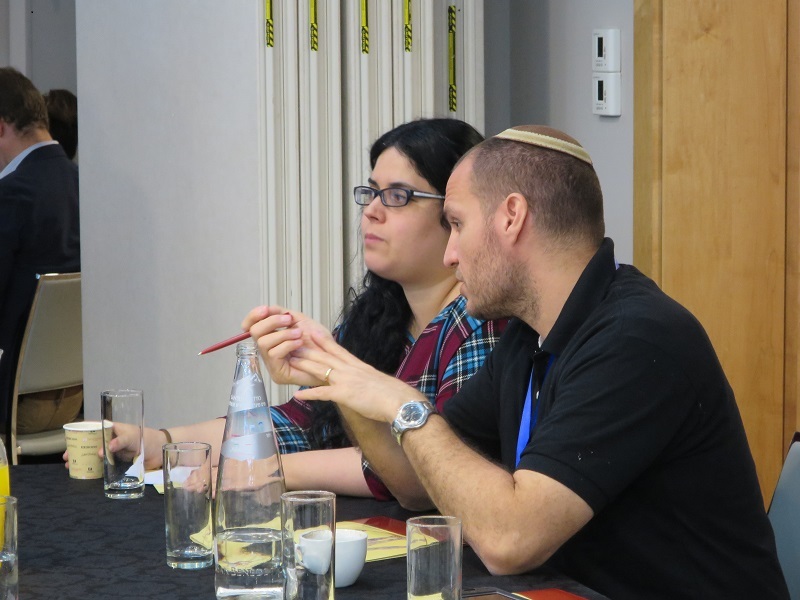 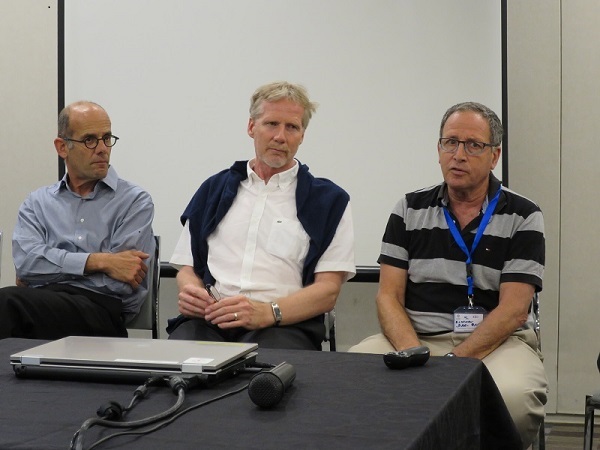 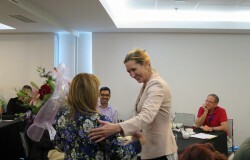 30 medical professionals, mostly surgeons representing all hospitals in Israel, IDF and MDA, participated in the seminar held in Ashdod, and exchanged their experiences. 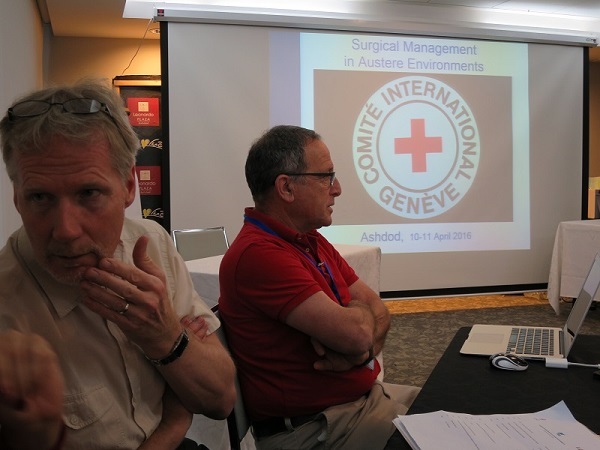 The aim of the seminar was to share and discuss the way to overcome these challenges and to provide safe, appropriate and effective surgery to wounded patients under such difficult conditions, and of the ways to minimize possible damages. 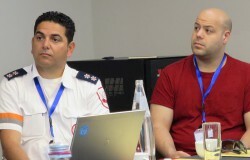 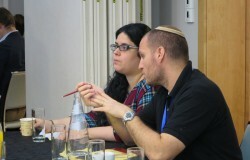 “As we were part of medical teams in disaster areas across the world, we find it important to have the Israeli Medical professionals be acquainted to these challenges, and to be provided with tools from the ones who have experience, in order to give better treatments to the patients in such situations”, said Tomer Kaplan, MDA disasters management officer. 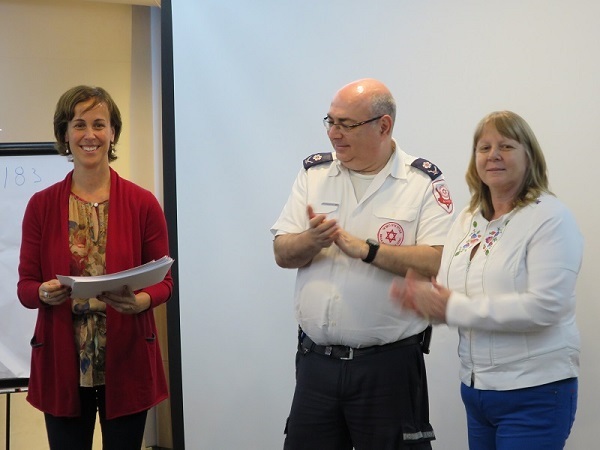 A particular focus was given to pre-hospital care, vascular surgery and orthopedic surgery, including prosthesis and rehabilitation. 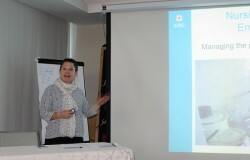 Among the other topics discussed: triage in mass casualties’ events; Health Care in Danger project; the international humanitarian law and health; ethics and dilemmas in humanitarian assistance; land mine injuries; mental health and psychosocial support for weapon-wounded patients, and more. 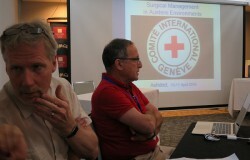 A specific panel was held on ethics while providing assistance to wounded in such contexts. 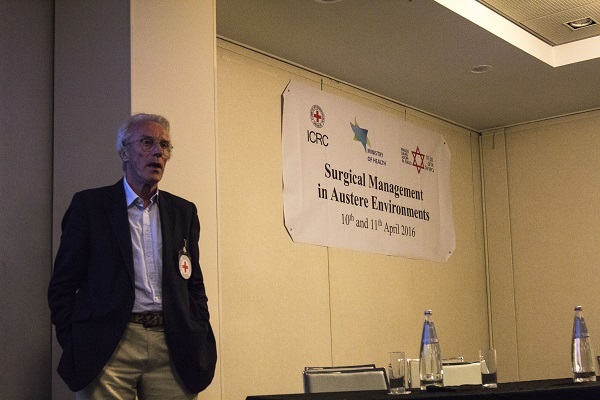 “Throughout the seminar we discussed also the moral dilemmas and ethical issues in such situations – which cannot always be solved – but being aware of it can prepare the medical teams to deliver better assistance”, said Dr Harald Veen, ICRC Chief Surgeon, based in Headquarters in Geneva. 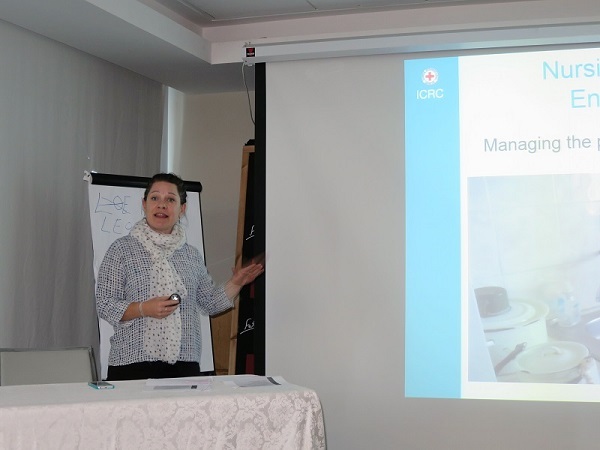 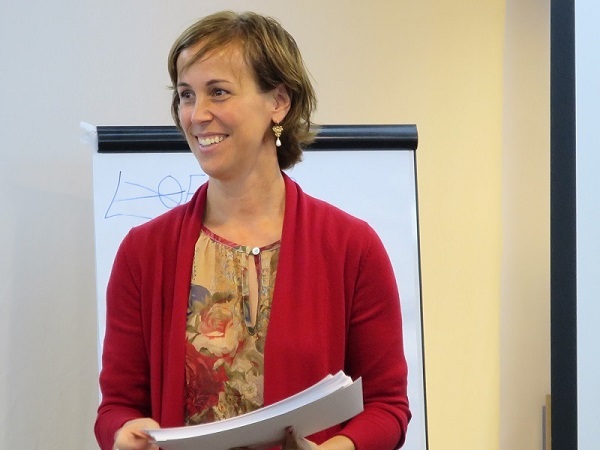 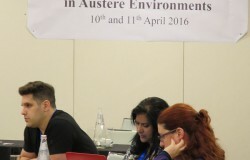 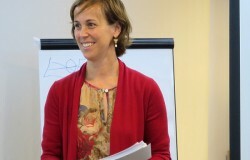 ”We hope that following the experience that we shared in the seminar, the participants are now better prepared for working in austere environments, such as natural disasters or armed conflict”, said Veen. 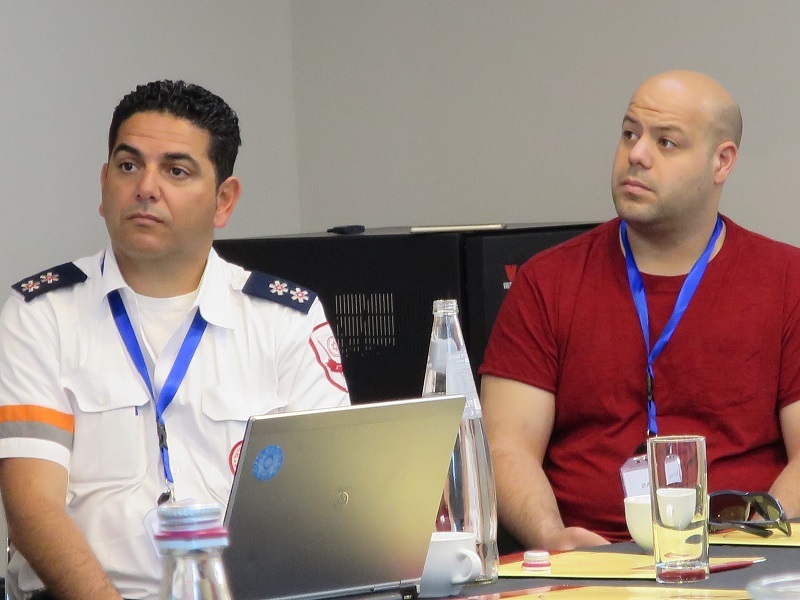 “We contribute to the seminar, but we also gain new knowledge, mainly regarding the aspect of giving medical treatment in situations with few resources”, said Lt. 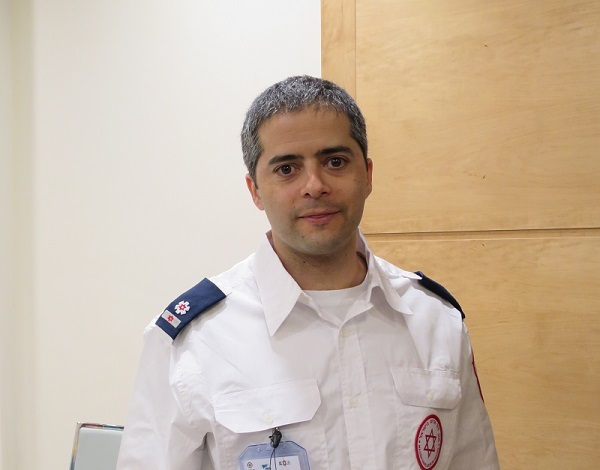 Colonel Yitzhak Avraham, IDF Head of Trauma.